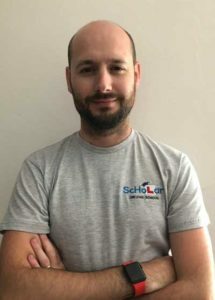 Just so we can help you to put a face to our names and to give you an opportunity to see your instructor, we thought it would be a good idea if we told you something about us and put up a profile picture of ourselves. Both Holly and I are a little camera-shy but we think it helps with customer care and customer services if you can put a face to a name. I have a very calm and relaxed attitude. With a modern coaching approach, I take the time to discover how each individual learns best. This then allows maximum learning during each lesson. 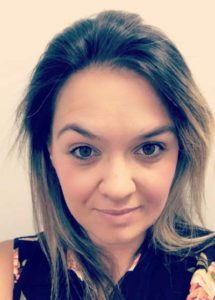 I am also an ORDIT registered instructor trainer and have trained many people to become driving instructors over the years. My best attribute – I love my job! I have a laid back personality and modern approach to learning to drive. I have a patient manner and am great at helping nervous pupils to calm down and control their nerves. My favourite part of my job is watching someone grow and develop their life skills and gain freedom through driving. I enjoy adapting my lessons or style of teaching to suit each persons individual needs or learning style. Congratulations to Sam who recently passed his driving test in Abergavenny with his instructor Scott. Well done buddy and it was a pleasure teaching you. 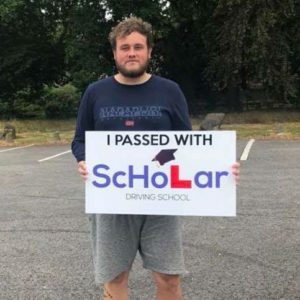 Huge congratulations to Jordan on passing his driving test with his instructor Holly. You aced it and it was a pleasure helping you to achieve your dreams. Now that you've met us, it's time for us to meet you! 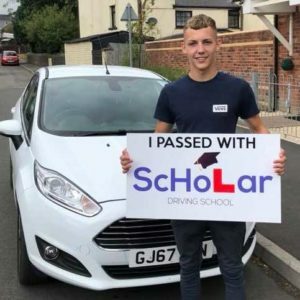 Just simply click on the button below to get in touch and arrange your first driving lesson with Scholar Driving School.